Build With It. Learn With It. Have Fun Be Sucessful. 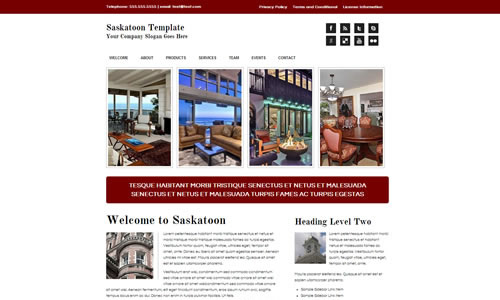 150+ website templates including the Shears Design and Cante Restaurant templates used in the Adobe Dreamweaver Introduction series and the Fullerton template used in the Introduction to Microsoft Expression Web series..
A simple 9x900 CSS design grid for laying out complex forms. A set of placeholder images and filler text for designing site mock ups for clients including a set of placeholder images for Google Adsense and AdBrite ads. Framework meets the requirements of the ADA-508 Accessibility standard for creating accessible web pages for the disabled. All of the course materials for our YouTube courses - Shears Design Template, Fullerton Template, Manchester Template, Krakow Template and the framework and web design code used in the videos. This is great resource for individuals wanting to create a website for a business or project or for individuals interested in web design and looking to start developing websites for others. Web designers can use the website templates in their portfolio (or as a starting point for a portfolio for new designers). The purpose of this framework is to provide you with a starting set of tools for creating websites, which you can customized to fit your needs and style. Its the toolkit I use everyday when creating websites. It works great for us and we hope it can be the start of something great for you. Important Note: The framework is the actual development toolkit we use on a daily basis. Because of this there are some additional tools and code snippets in the framework that are not covered in my tutorials. Hopefully in the future I will have tutorials on these items, but for now consider it an undocumented bonus. 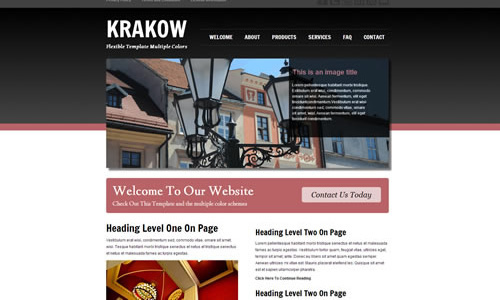 The following items can be included in each of the web templates. 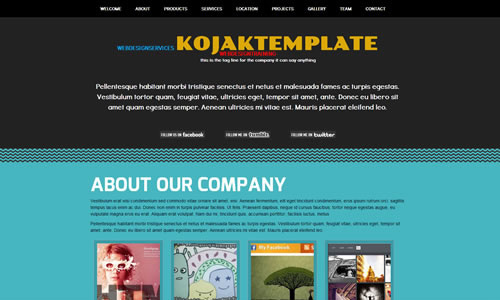 Some of the website templates use these features in their original design, but you can include them in any of the templates depending on your needs. 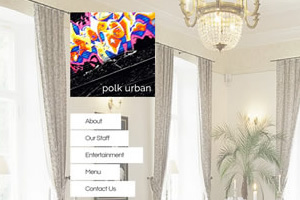 This rotating banner (commonly called a "slider") allows you to add some visual interest to your page by rotating through a series of images. The images can be plain or can include a Search Engine friendly caption and / or a link to another page. 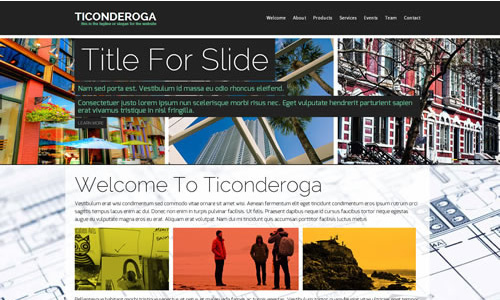 This rotating banner (commonly called a "slider") allows you to add some visual interest to your page by rotating through a series of images with an accordion type slider to the right side of the image. This tool will allow you to create galleries of images or videos. When you click the image or video thumbnail (small image representing the content) the image or video will open in a lightbox with caption. The lightbox has the ability to progress through the items in the gallery either manually or as an automatic sideshow. The lightbox also has links that allow visitors to share your images or videos on Facebook or Twitter. 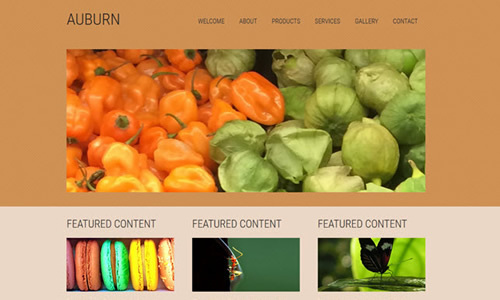 An easy to use expanding Accordion Style Content Box. Ideal for content such as FAQ pages. An easy to use Social Media tool that allows your site visitors to "Like" your page on Facebook, Tweet about your page on Twitter and promote your site with Google Plus. A contact information form can be modified with your own fields. We provide a generic form mail script but you're web host may require you to use one they provide or may not support form to email scripts at all. 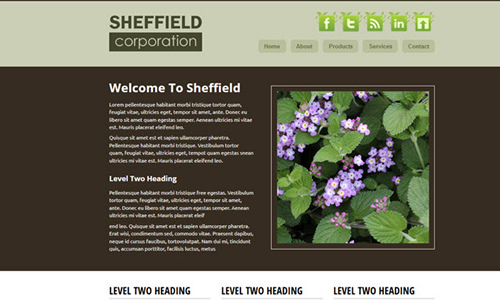 To use the standard HTML forms you must have your website hosted on a server that allows form to email scripts to run. Contact your web host for more information about your server configuration. We do not provide support mail server scripts in anyway. This is entirely a function provided by your web server host. This tool allows you to add a list of frequently asked questions to any page. I'm a web designer. 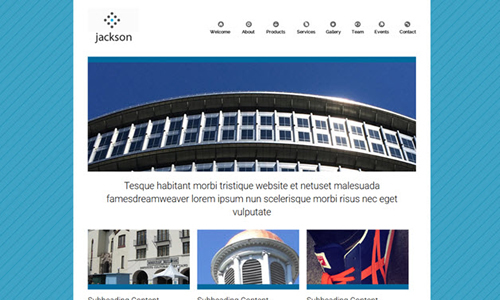 Can I buy your templates and framework and use them to create websites for my clients? Yes and you can use it as much as you want. Use it for one client or a thousand. Use one template or all of them. The more you use it the happier we are. Seriously? I don't have to pay every time I use it? You do not have to repurchase ever. Purchase it once and use it as much as you want. All we want is $29 one time. I'm a web designer and I'd like to add your templates to my portfolio to give my clients an idea of the kind of work I do. Can I do that? No problem. We consider it a compliment when other designers like our work so much they include it in their portfolio. 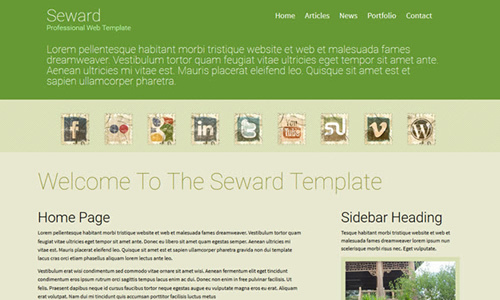 A lot of web designers that are just starting out purchase the templates and use that to start their portfolio. An empty portfolio won't get you many clients, but adding all our templates to your portfolio will get you clients. What don't you want us to do with the framework and templates? I don't want you to sell the framework or unmodified templates (individually or as a collection). What if I make a million websites and a billion dollars with it? Are the templates "mobile applications" or "mobile responsive" templates? 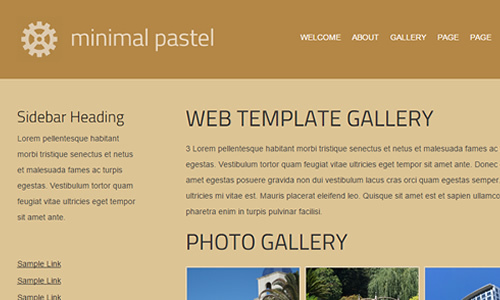 No the templates and standard HTML and CSS templates for ease of use. They can be viewed in mobile devices but they are not mobile applications or mobile responsive templates. You can see how the templates appear in mobile devices by going to http://www.timothy.info on your mobile device. How will my website rank on Google and other search engines? No one can tell you how your site will rank until Google or another actually ranks it. Rankings will vary depending on your content, the keywords you are trying to rank for, how other sites that rank for those search terms and many other factors. Anyone that tells you they can promise a particular ranking is not being honest. We make no guarantees or warrenties regarding Google or any other serach engine ranking for sites using our templates. This is true for all templates and website development. There is no way we can control how Google, Bing or other search engines evaluate your website. Can I remove your name, website and contact information from the templates? 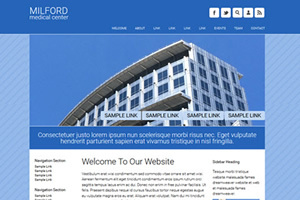 Yes you can sell your clients the sites you create with our framework and templates. But you cannot resell the framework or the actual templates that come with it. 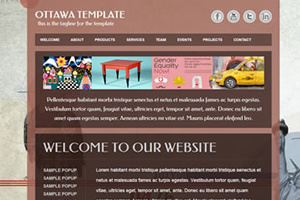 So if I purchase the templates, then add my clients text and images to a template can I sell that website to my client? Yes. Once you make a significant change to the templates such as adding your clients text and images you can sell the resulting website. You cannot sell the unmodified templates or the templates when you have just made superficial changes to. Can I use your framework or templates in videos or tutorials of my own? Yes. But you cannot resell the framework. Please refer people to this site if they need to purchase the framework. So I can use this framework and templates in commercial projects? I can purchase the framework and templates once and use them in multiple projects? Can I use your templates multiple times for multiple clients? No we only sell the templates as a package. Can I distribute your framework or templates unaltered? No. You may distribute items you create with the framework, but not the unaltered framework or templates. Can I use your framework and templates in a tutorial I'm creating? Yes. If you are creating a tutorial and want to use the framework as a starting point, please direct people here to download. You may not distribute the templates or framework. Thanks for your support. If we can do almost anything we want with the framework why do you copyright and license it and not just place it in the public domain? To avoid problems evil people with attorneys create that might hinder future development by myself and others. I want to be able to do anything with it in the future and want you to be able to do anything with it in the future. It protects you and me. Can I copyright things I create with your framework? Sure. Your copyright covers your work and my copyright and license remains in force for my code. This is basically the same for all major open source tools such as JQuery, PHP, MySQL, Apache, WordPress, Joomla, Drupal, on and on. What if a year after purchasing I've forgotten how to download the templates? Keep your receipt and go to our contact page and send it to us. We'll resend your download information. No. See the license for details. You are the sole judge as to whether using our materials is appropriate for your needs. Does Timothy still work there? No. Timothy has retired but TimothyMarkLLC is still going strong. Use it. Build with it. Learn with it. Have fun. Be successful. Please Note: This software does not include Adobe Dreamweaver, Microsoft Expression Web, Notepad++ or Microsoft Visual Studio. THE ORIGINAL PURCHASER IS GRANTED AN ONGOING NON-EXCLUSIVE NON-TRANSFERABLE LICENSE TO USE THE SOFTWARE/WEB TEMPLATES IN ANY LEGAL WAY YOU WISH FOR COMMERCIAL OR PERSONAL PURPOSES. THE SOFTWARE/WEB TEMPLATES AND MATERIALS MAY NOT BE USED FOR ANY ILLEGAL PURPOSE OR TO PROMOTE OR ADVANCE ANY ILLEGAL OR CRIMINAL ACTIVITY. IF YOU ARE A WEB DEVELOPER/DESIGNER YOU ARE ALLOWED TO USE THE SOFTWARE/WEB TEMPLATES TO CREATE PRODUCTS FOR YOUR CLIENTS/CUSTOMERS. 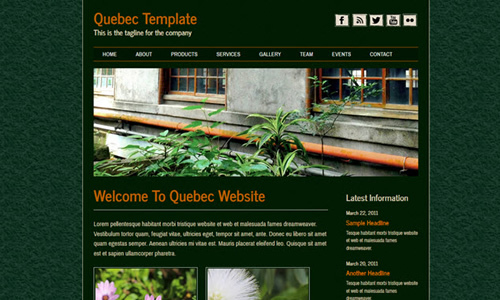 YOU MAY USE THE SOFTWARE/WEB TEMPLATES REPEATEDLY ON AN UNLIMITED NUMBER OF PROJECTS. YOU ARE PERMITTED TO CHARGE CLIENTS FOR PRODUCTS YOU CREATE WITH THE SOFTWARE/WEB TEMPLATES. UNDER THESE CIRCUMSTANCES YOUR CLIENT IS GRANTED AN ONGOING NON-EXCLUSIVE NON-TRANSFERABLE LICENSE TO USE THE WORK YOU CREATE WITH THE SOFTWARE/WEB TEMPLATES. YOU ARE NOT ALLOWED TO RESELL THE SOFTWARE/WEB TEMPLATES “AS IS”. IF YOU ARE A WEB DEVELOPER/DESIGNER YOU AGREE YOU ARE COMPLETELY RESPONSIBLE FOR THE ITEMS YOU CREATE WITH THE SOFTWARE/WEB TEMPLATES. IN NO EVENT OR CIRCUMSTANCE SHALL THE AUTHORS OR COPYRIGHT HOLDERS – TIMOTHY MARK LLC AND ITS OWNERS, EMPLOYEES AND MANAGERS - BE LIABLE IN ANYWAY FOR ANY CLAIM, DAMAGES OR OTHER LIABILITY, WHETHER IN AN ACTION OF CONTRACT, TORT OR OTHERWISE, ARISING FROM, OUT OF OR IN CONNECTION WITH THE SOFTWARE/WEB TEMPLATES OR THE USE OR OTHER DEALINGS IN THE WEB TEMPLATES/SOFTWARE. THE SOFTWARE/WEB TEMPLATES ARE PROVIDED "AS IS", WITHOUT ANY WARRANTY OF ANY KIND, EXPRESS OR IMPLIED, INCLUDING BUT NOT LIMITED TO THE WARRANTIES OF MERCHANTABILITY, FITNESS FOR A PARTICULAR PURPOSE AND NONINFRINGEMENT. BY USING THE SOFTWARE/WEB TEMPLATES OR THE MATERIALS THAT COME WITH THE SOFTWARE/WEB TEMPLATES YOU AGREE THAT THE SOFTWARE IS PROVIDED "AS IS", WITHOUT WARRANTY OF ANY KIND EXPRESS OR IMPLIED, INCLUDING BUT NOT LIMITED TO THE WARRANTIES OF MERCHANTABILITY, FITNESS FOR A PARTICULAR PURPOSE AND NONINFRINGEMENT. IN NO EVENT OR CIRCUMSTANCE SHALL THE AUTHORS OR COPYRIGHT HOLDERS – TIMOTHY MARK LLC AND ITS OWNERS, EMPLOYEES AND MANAGERS - BE LIABLE IN ANYWAY FOR ANY CLAIM, DAMAGES OR OTHER LIABILITY, WHETHER IN AN ACTION OF CONTRACT, TORT OR OTHERWISE, ARISING FROM, OUT OF OR IN CONNECTION WITH THE SOFTWARE OR THE USE OR OTHER DEALINGS IN THE SOFTWARE/WEB TEMPLATES. BY USING THE SOFTWARE/WEB TEMPLATES OR THE MATERIALS THAT COME WITH THE SOFTWARE/WEB TEMPLATES YOU AGREE THAT IN NO EVENT OR CIRCUMSTANCE SHALL THE AUTHORS OR COPYRIGHT HOLDERS – TIMOTHY MARK LLC AND ITS OWNERS, EMPLOYEES AND MANAGERS - BE LIABLE IN ANYWAY FOR ANY CLAIM, DAMAGES OR OTHER LIABILITY, WHETHER IN AN ACTION OF CONTRACT, TORT OR OTHERWISE, ARISING FROM, OUT OF OR IN CONNECTION WITH THE SOFTWARE/WEB TEMPLATES OR THE USE OR OTHER DEALINGS IN THE SOFTWARE/WEB TEMPLATES. THERE IS NO WARRANTY OF ANY KIND, EXPRESS OR IMPLIED, THAT GOOGLE, BING OR OTHER SEARCH ENGINES OR DIRECTORIES WILL RANK A WEBSITE OR INDIVIDUAL WEB PAGE CREATED WITH THE SOFTWARE/WEB TEMPLATES AT ANY SPECIFIC PLACE OR SPOT FOR ANY SEARCH TERM OR PHRASE IN THEIR SEARCH RESULTS. SEARCH ENGINE RANKING DEPEND ON THE CRITERIA AND ALGORITHMS OF THE SEARCH ENGINE, YOUR UNIQUE CONTENT, THE CONTENT OTHER WEBSITES RANKING FOR A PARTICULAR TERM AMONG OTHER FACTORS. Our web design tutorials will teach you how to use HTML and CSS to design website and how to use tools such as Adobe Dreamweaver and Microsoft Expression Web to create and publish websites. 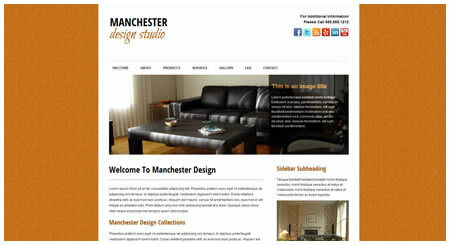 Each of our web design courses is a step by step guide to publishing a website, using our website templates as learning projects - you actually see us create a website from beginning to end. Your purchase includes all the materials, handouts and resources along with the completed website projects from our web design courses. If you're looking for the course materials for our Adobe Dreamweaver or Microsoft Expression Web courses, your in the right place. Your purchase includes the learning materials and resources for all our current Adobe Dreamweaver and Microsoft Expression Web tutorials and you will have access to any new or updated learning materials for Adobe Dreamweaver or Microsoft Expression Web we publish in the future. 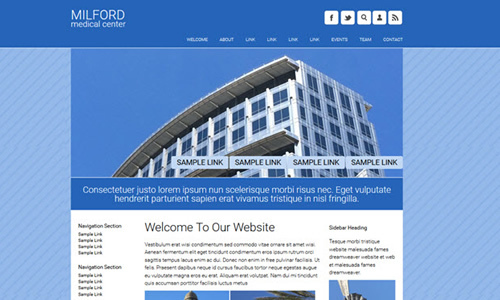 Our website template are professionally designed to work with all modern web browsers. 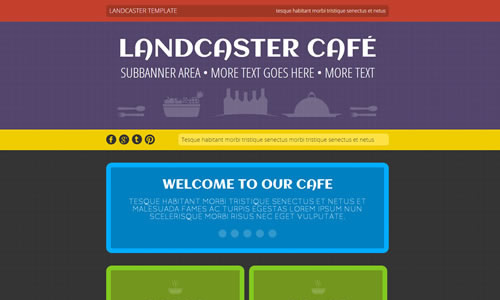 They are also easy to use - no unncecesarily complex code or tricks that make other templates difficult to modify.